Site Gallery, Sheffield is hosting Playground, an exciting (and free) interactive digital art exhibition for children, between the 5th and 10th July. The gallery is currently filled with a range of specially commissioned digital art pieces, games, brand new apps and virtual reality headsets for children, families and adults to play with. In a traditional Art Gallery you are usually asked to look with your eyes and not touch. At this digital crafts and hands-on exhibition you need to touch the art. There are 12 exhibits plus a Maker Room where kids can get their hands dirty. 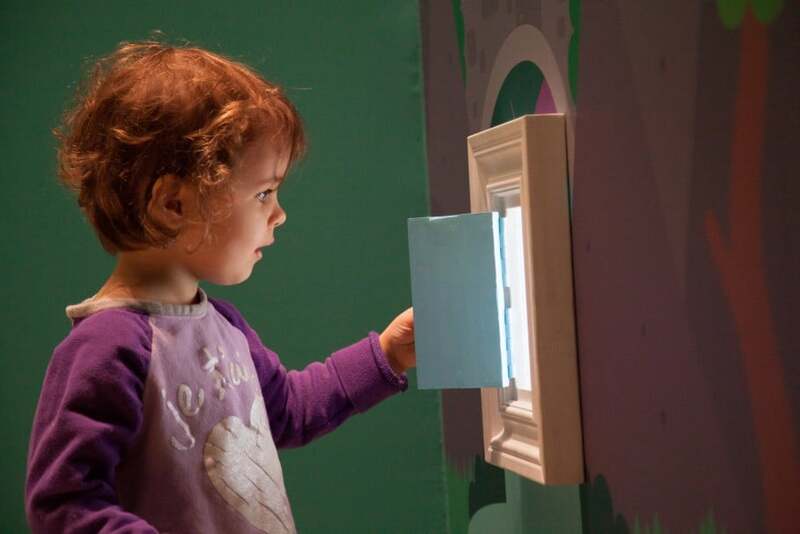 Take a sneaky peek behind the Fairy Doors (Sago Mini) as part of a hide and seek game, or, using Blinkies (Lost My Name), place a child’s drawing over a phone or tablet, it will turn the drawing into an animation and make it come to life. Try out The Cardboard Arcade (Unstable King), a portable pop-up video game arcade. 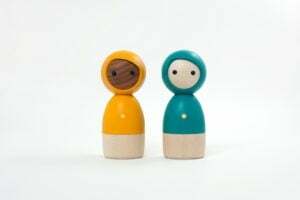 The Avakai Twins (Vai Kai) are wooden toys which are connected to each other using Bluetooth technology. Anything one doll experiences, is sent to another doll; the laughter when it’s swinging, anger when it’s shaken, or a kiss when the two dolls meet! Also included are Google Cardboards headsets which use smart phones to view mini-Virtual Reality games. 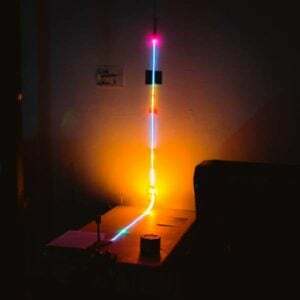 Line Wobbler (Robin Baumgarten) is made out of a door-stopper spring, and a long ultra-bright LED display. In the Maker Room, children can create sculptures and scenes using Electro Dough (Tech Will Save Us), and then bring them to life with light and sound. 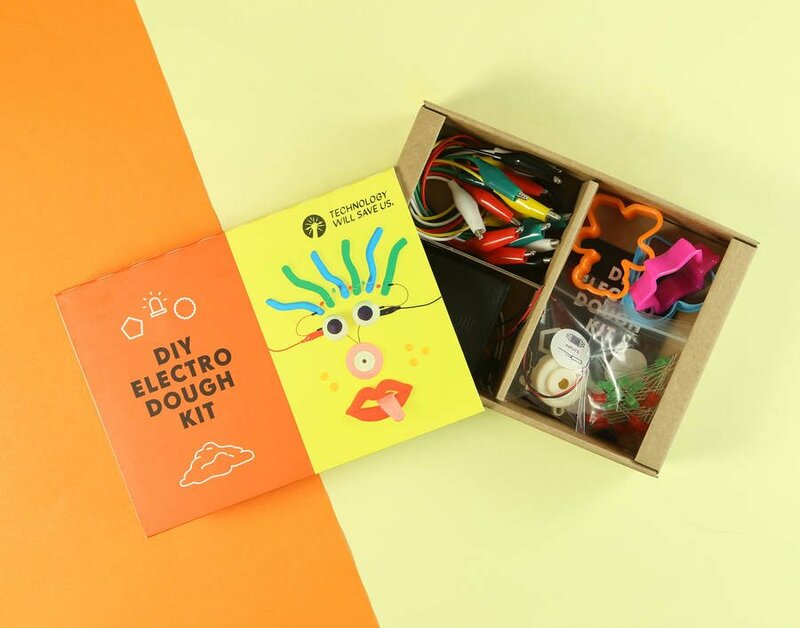 It’s a simple and fun way for children to get their hands on with electronic components and for them to learn how electricity flows through a circuit. Visitors can also play with Conductive Paint, which does much of the same thing. “My favourite thing was the line wobbler, I liked how clever it was, and I liked the noises,” said Esme (9). 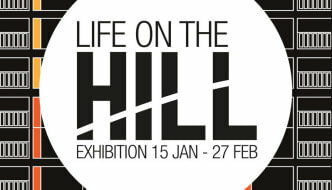 The exhibition is organized by and coincides with The Children’s Media Conference (CMC). 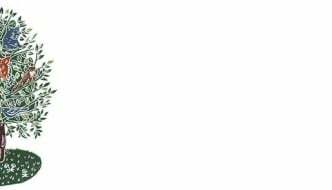 Now in its 13th year, The CMC is the premier conference in the UK dedicated to supporting children’s media. This annual get-together is the most important event of its kind in the UK; it’s the only time when independent producers, broadcasters, film makers, commissioners, licensing executives, distributors, publishers, interactive media producers, writers and academics can get together for discussions, workshops and intensive sessions which focus on all the new and future developments in children’s media and entertainment. 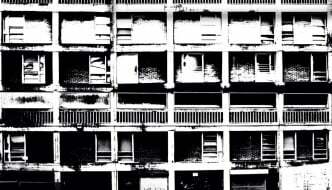 Click here for more information on the artists and opening times. And here for more information on The Children’s Media Conference visit.